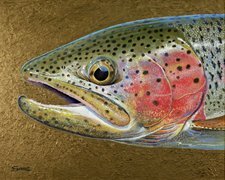 Yosemite scenic wonders will surround you; with something for every taste. Yosemite Scenic Wonders Surround You! 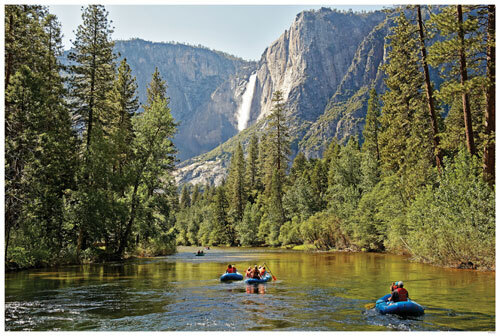 Whether sheer cliffs, the waterfalls, expansive meadows, beautiful clear streams or the wild animals…a thousand pictures couldn’t even begin to express the beauty that is Yosemite National Park! 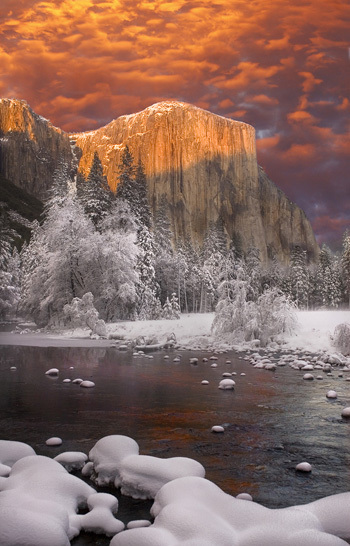 The mention of Yosemite brings different visual impressions to the minds of everyone. 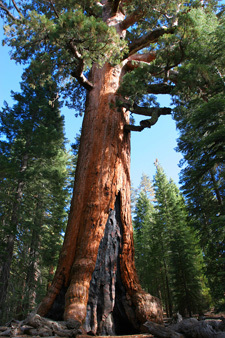 Perhaps it is an old photograph of the valley, or the famous Wawona Tree through which you once could drive. 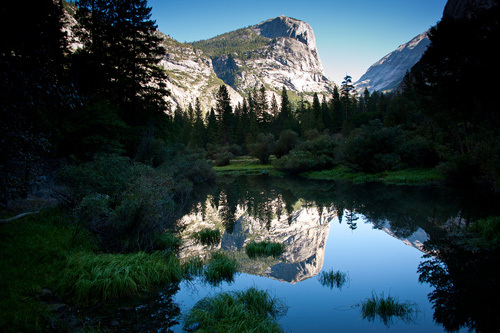 Maybe instead, it is a reflection in Mirror Lake or an image of Half Dome rising a mile above the valley floor. Perhaps it is of the many majestic waterfalls. All these memories make the composite image of what Yosemite National Park is. When you travel to Yosemite for the first time, a worthwhile suggestion is that you start with a visit to the museum. Take the time to get your bearings from one of the relief maps that you will find there. 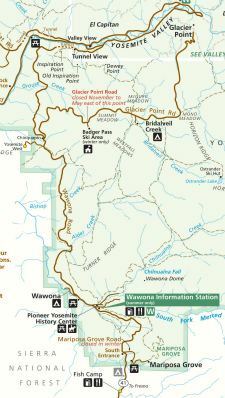 Shuttle buses run ongoing routes around the valley and a National Park Service map showing these can be found by following this link…Map of Yosemite Shuttle Routes. So starting from Yosemite Park Headquarters let's take a tour around Yosemite Valley on the free shuttle bus. Get off and explore at any stop you wish. Other tour buses will be along at intervals of about 10 to 20 minutes to take you on your way. The road to Curry Village takes you across Sentinel Bridge from which you can see the most famous view of Half Dome. From every angle this magnificent loaf of granite dominates the scene. Standing 4,800 above the eastern end of Yosemite Valley, Half Dome is a product of the same tremendous forces which originally formed Yosemite Valley. A good trail leads to the back of the dome where cables are strung in summer so that you can climb to the top. 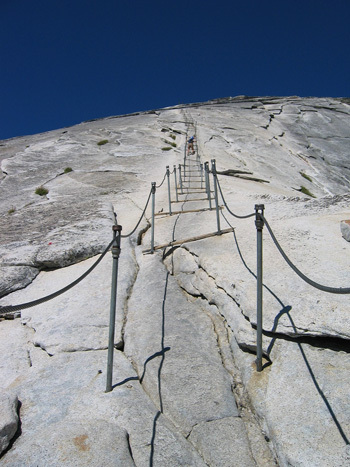 Today’s Half Dome climbers certainly do find it much easier than it was when George Anderson made the first climb in 1875 slathered in pine pitch! The story of how he managed the climb is here…Anderson. As you continue on your tour you will come to Curry Village. The top of the cliff above you at Camp Curry is known as Glacier Point. It was from here that the historic Firefall was pushed on many a summer night. Burning embers from the bark of dead red fir trees would cascade from the edge of the cliff nightly in the summer, to the approving “oohs” and “aahs” of the observers watching from the valley floor. From Curry Village you can clearly see the “Royal Arches” on the north valley wall right behind where the Ahwahnee hotel is located. Geologists think that arches of this kind may represent one of the first steps in the formation of granite domes like North Dome on the skyline right above the Royal Arches. Though certainly ground by glaciers, it is exfoliation that is the cause for the curved appearance of the Royal Arches. "Sheer joints" formed layered shells that weathered and then sloughed off forming the rounded appearance. He is the legendary husband of Tis-sa-ack, both of whom displeased the Gods and were turned to stone. 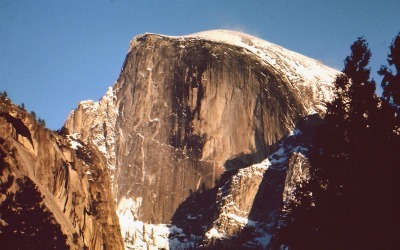 From her place on the face of Half Dome, the profile of his weeping wife still looks longingly toward her husband Nangus. The legend was a favorite among the Yosemite Indians. Find it here at...the Legend of Tis-sa-ack. 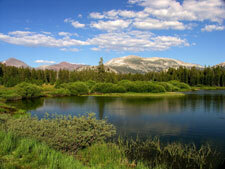 One of Yosemite's early guardians, Walter Denison, gave Happy Isles its’ name. To him the laughing waters here made one's troubles disappear. The Merced River divides at this point to form the “Isles”, coming together once again down-stream to continue flowing peacefully through Yosemite Valley. It is from here at Happy Isles that you find the "Mist trail" to Nevada and Vernal Falls, and eventually Yosemite’s high country. Mirror Lake was once famous for its beautiful reflections of surrounding mountains and cloud formations. Today however, the natural process of sedimentation is filling the lake in. It will eventually turn it into a marsh and then will finally become a Meadow. Reflections in Mirror Lake like those seen in older photos are no longer seen. 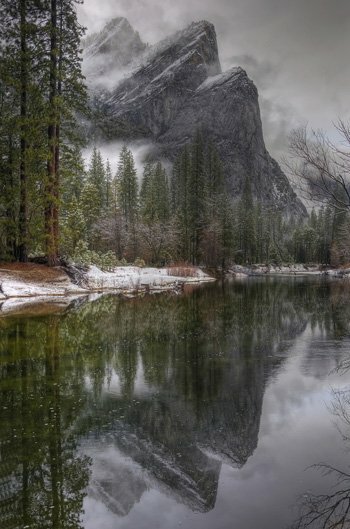 The mountain you see behind Mirror Lake is Mount Watkins, named for pioneer Yosemite photographer Carlton E Watkins. The story of Watkins and the other early Yosemite photographers can be found by following this link to…Yosemite’s Early Photographers. Back at the Park's headquarters after your tour of the eastern end of the park, take the next shuttle-bus that is going west toward the other end of the valley. 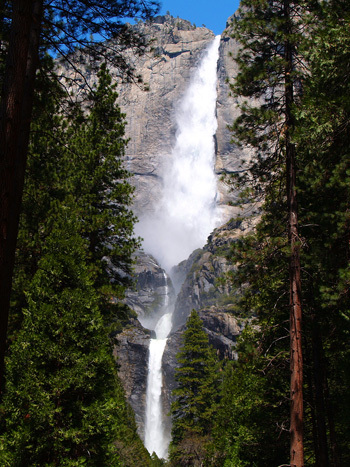 As you are “motoring” towards the Yosemite Lodge, Yosemite Falls will become easier for you to see. Be sure to get off at this stop. 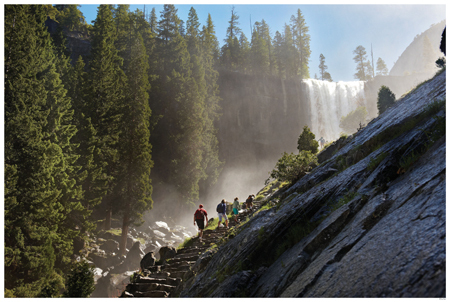 It's a short and easy walk from the bus stop to the base of lower Yosemite fall. Standing on the bridge at the height of the flow in the spring, amidst the roar and the spray, is an experience that mustn't be missed! El Capitan is one of the greatest masses of exposed granite in the world, and is 7,564 feet above sea level at its summit. 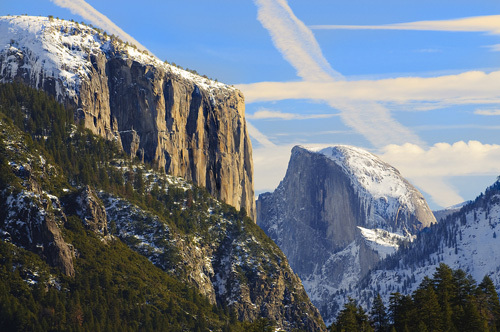 The face of El Capitan attracts skilled mountain climbers from around the world. The climbers follow numerous routes to the top that have been established by other climbers over the years. The endangered peregrin falcon was absent from Yosemite for many years, but reappeared in 1978. They are now nesting on the "North American wall" which is the east face of El Capitan. Watch for viewpoints for El Capitan and the Cathedral rocks while you are over along the south wall of the valley. From a number of places on the south side you will get vistas of the Three Brothers rising one above the other at their location across the valley. 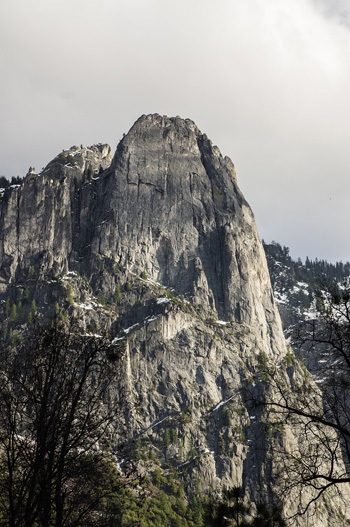 Symbolizing the three sons of Tenaya, the last chief of the Ahwahneechee, the three symmetrical rock monoliths on Yosemite Valley's North wall clearly display the geological feature of parallel rock joint fractures. 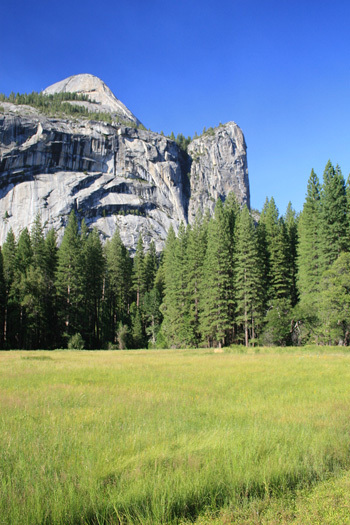 A left turn at the El Capitan bridge will take you through the meadow where John Muir and Theodore Roosevelt camped in 1903. Roosevelt’s visit to Yosemite proved to be a turning point for the conservation effort in America. 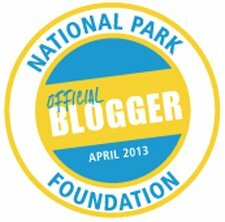 To read about his historic meeting with John Muir follow this link to Teddy Roosevelt's visit to Yosemite. Valley View, as it is called today, was known as the Gates of the Valley in the days of the stagecoaches. 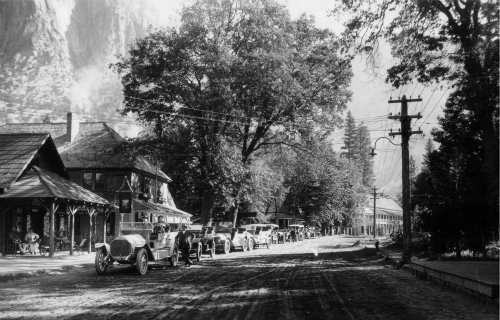 Back in those early days, this was the first stop for most visitors coming into Yosemite Valley since the roads came down the North Valley wall. The road soon cuts through what is known as a glacial moraine, which was a prehistoric dam that was formed where the glacier stopped. As the glacier melted, all of the debris that it had been carrying within the ice was dumped in place. After the glacier had completely melted, the moraine held back Ancient Lake Yosemite which then silted in to form the level floor of Yosemite Valley. There's a parking area near Bridalveil Fall and if you would like to take a closer look, a short walk will take you to it. For the most magnificent view of Yosemite Valley, travel back up the road toward Fresno to Tunnel View, which is just below the old Inspiration Point. It was from Inspiration Point that the Mariposa Battalion got its first look at Yosemite back in 1851. If you retrace the route you took up to Tunnel View back down to the Valley floor and begin travelling east you will see rising before you, Sentinel Rock. Known as “Loya” by the Indians, Sentinel rock rises a sheer 3,000 feet from the floor of Yosemite Valley. The 4 mile trail to glacier point cuts across its base and can be seen as it zigzags up the mountainside to the east. 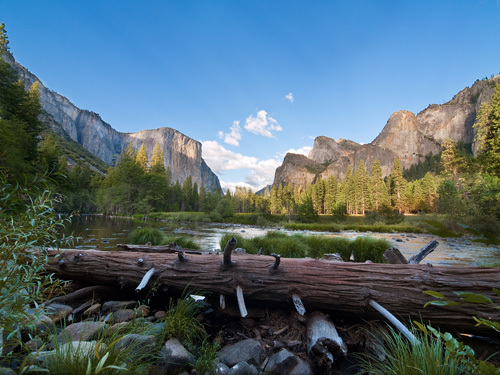 Unlike in prehistoric days, today’s Merced River flows quietly through Yosemite Valley. 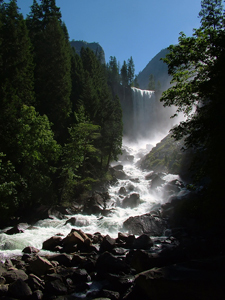 Geologists calculate that its’ ancestral river was responsible for having cut about two thirds of Yosemite Valley. The glaciers that followed carved out the remaining third. As you travel around the Valley many other vistas for picture taking open up. One of these from Sentinel bridge gives a clear view across to Yosemite Fall . The Old Village, which was once Yosemite’s bustling “main street” once was here, with buildings on both sides. 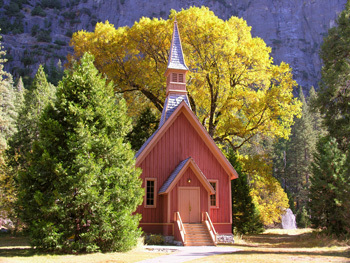 The only remaining original building from the Old Village that still exists today is the little Yosemite Chapel.It looks as if it could have been transplanted from New England. Inter-denominational and still in use today, it was built in 1879, largely with pennies and nickels from Sunday school children. Florence Hutchings was one of those children, and was also the first white child to be born in Yosemite Valley. She was the daughter of Pioneer Innkeeper James Hutchings and a friend of naturalist John Muir as well as early Yosemite photographer Eadweard Muybridge. "Flo" died tragically while still young, but had such an impact on Yosemite in the early days that Mt. 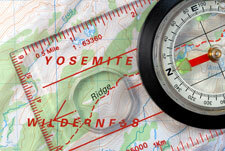 Florence in Yosemite's High Country is named in her honor. For her story follow this link to Florence Hutchings. 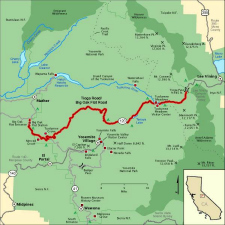 So in a distance of about 4 miles, you have now completed a full circle of Yosemite Valley. 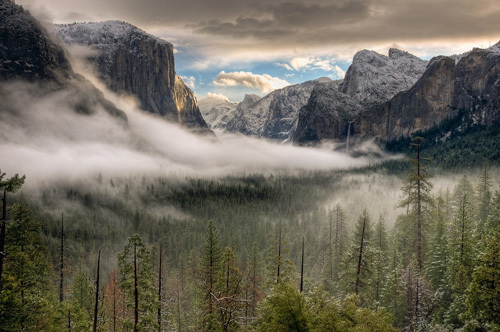 Although visitors to Yosemite each year are counted by the millions, most have missed much of the park. Walk a few hundred feet away from almost any of Yosemite's roads. In these few minutes you will capture a feeling of wilderness, of solitude… of being the first person to ever set foot here. 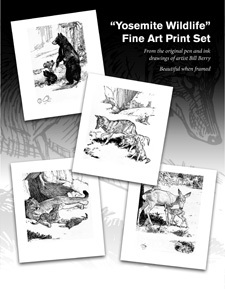 Give it a try…see for yourself! 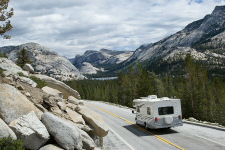 See Yosemite's High Country From Your Car!